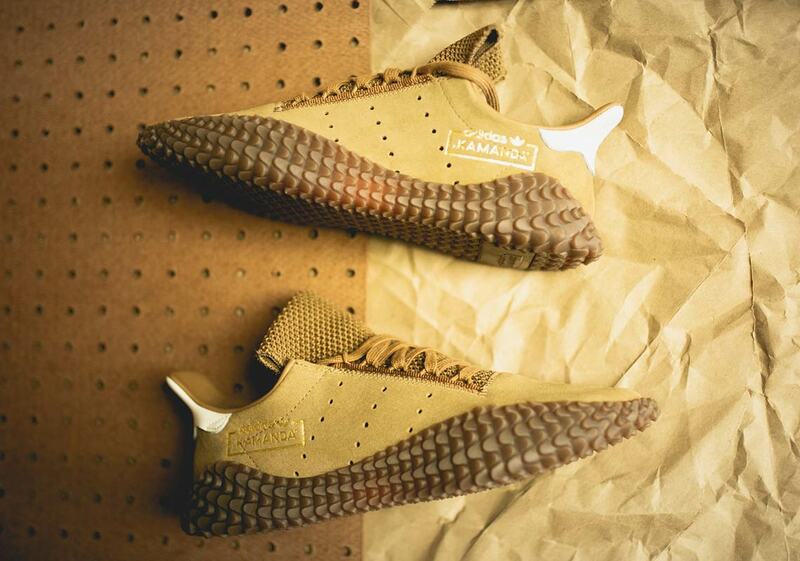 Although the World Cup may be long over, the Three Stripes is keeping the soccer (or football, if you prefer) vibes rolling on their lifestyle silhouettes, with both the adidas Sobakov and the adidas Kamanda drawing heavy inspiration from the beautiful game. 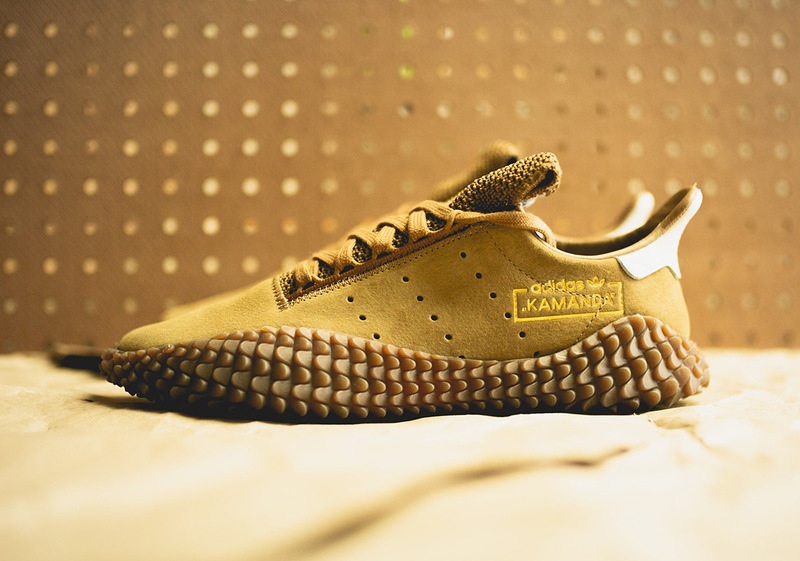 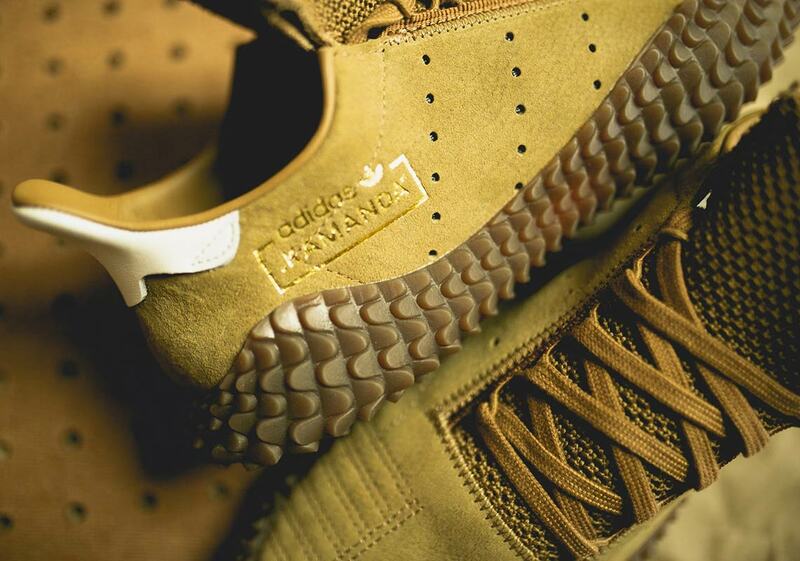 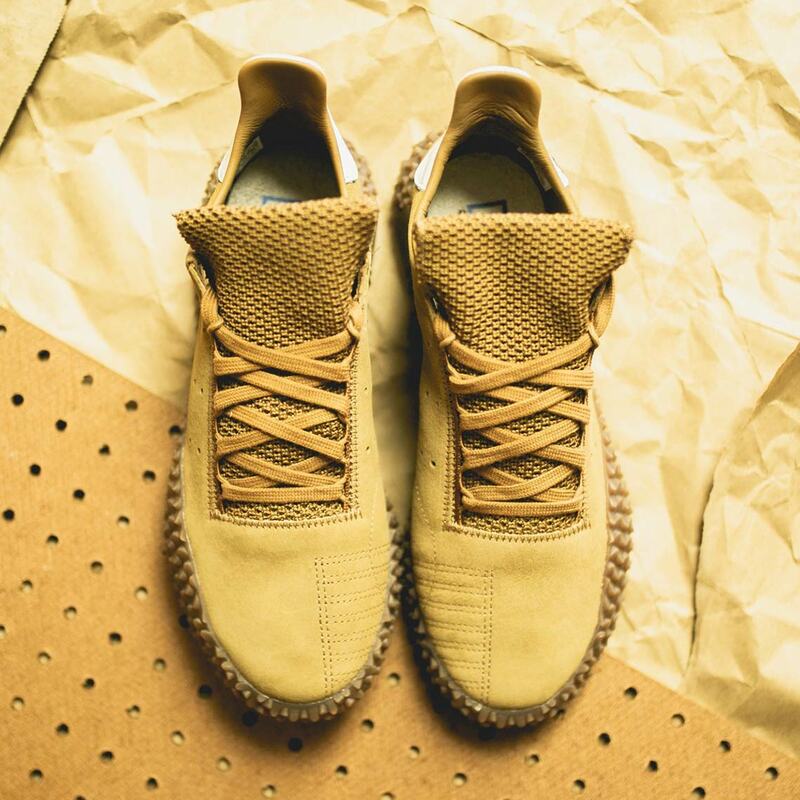 Now, the latter of the two soccer-styled casual shoes has arrived in a fall-ready “Raw Tan colorway, boasting heavy retro vibes. 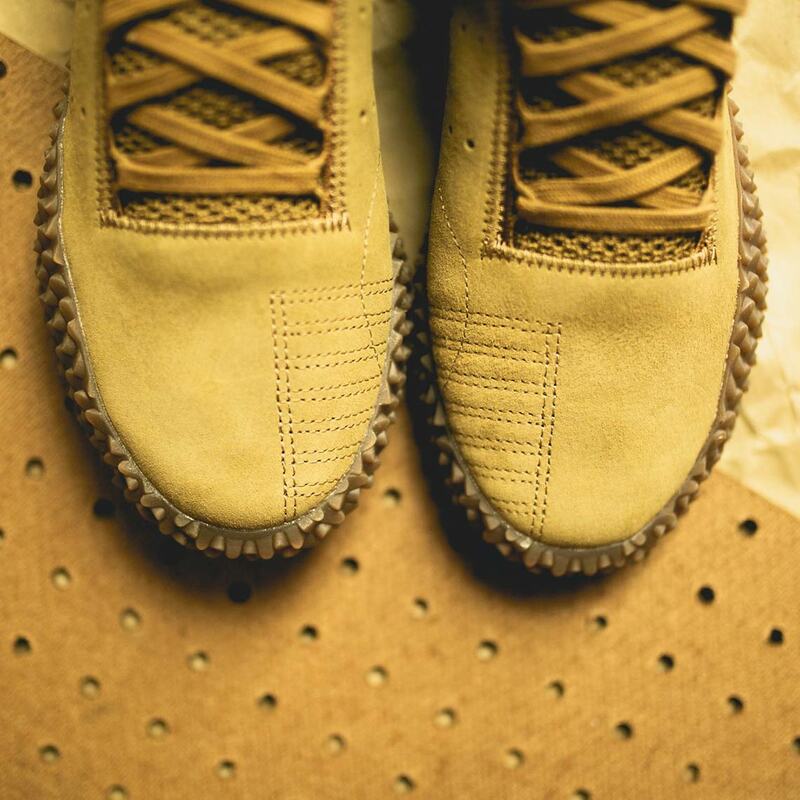 The tonal tan look is complimented by an interesting mix of textures, with the smooth suede upper sandwiched between a rough-hewn tongue and spiky outsole. 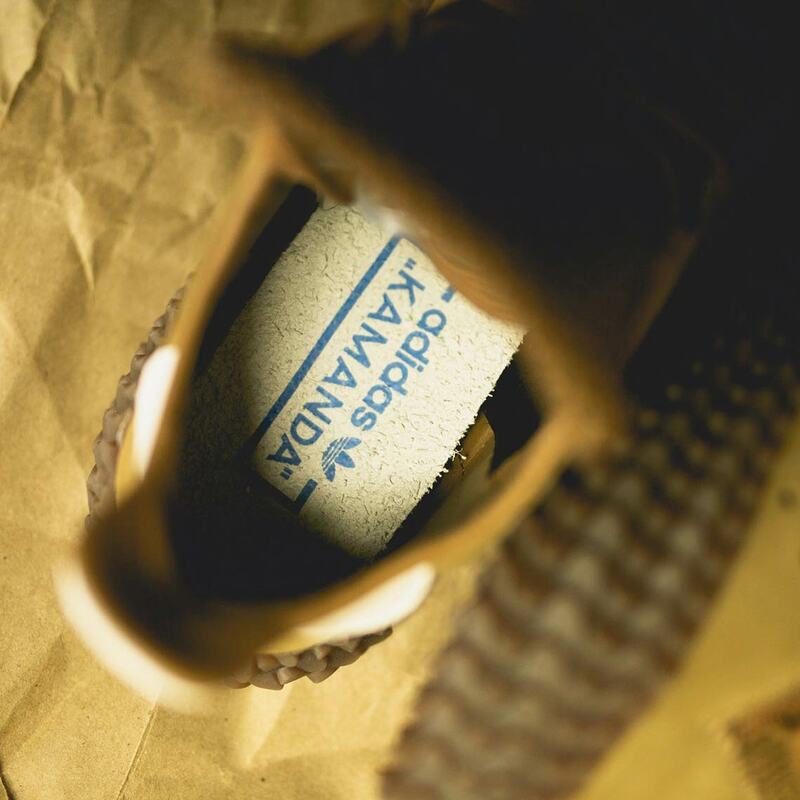 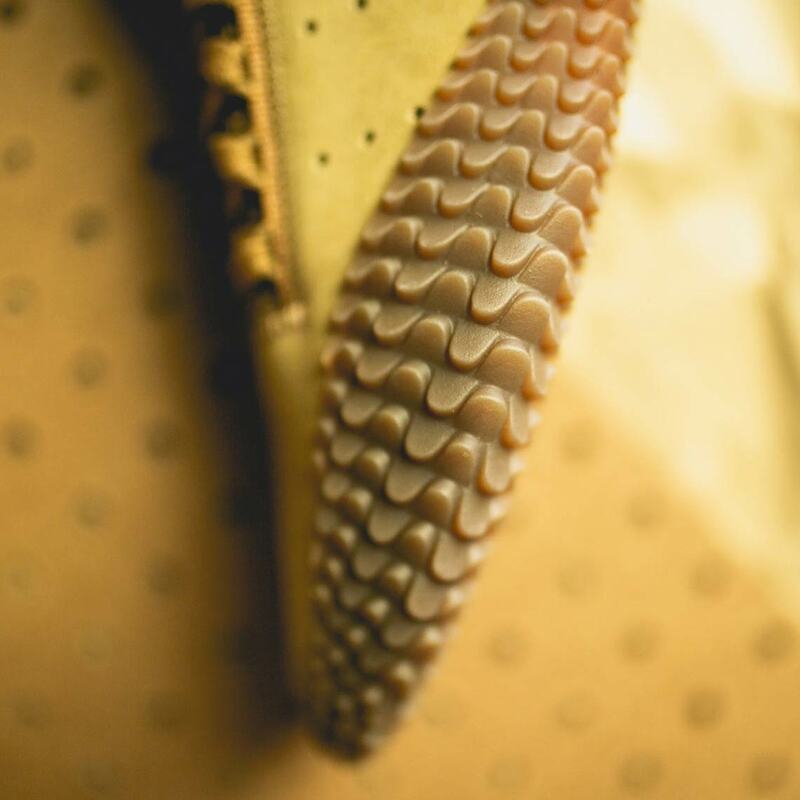 Stitching on the medial toebox adds an extra pop to the texture blend, and accents are provided by a gold stamp on the lateral heel and a white leather patch on the heel collar. 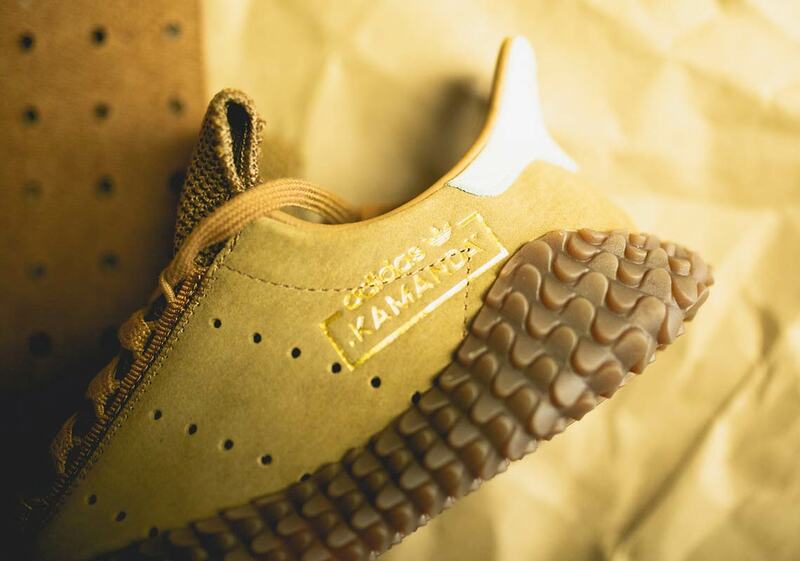 If you’re a fan of the tonal fall look, these Kamandas are available now at adidas stockists like Rock City Kicks for $150 USD.